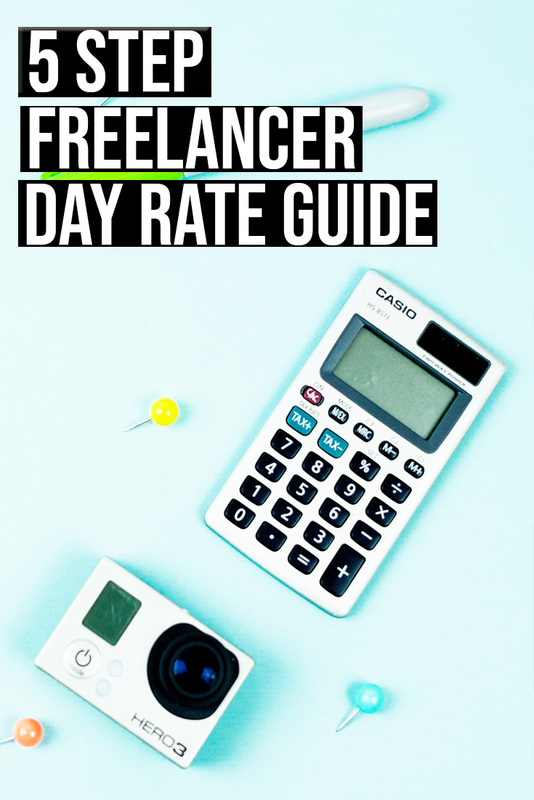 I have done some research into freelance day rates for filmmakers - this post looks at how to calculate your daily rate and salary expectations. Being a freelancer means you will negotiate your own rate of pay, when you first get started in the industry it is difficult to know what the going rate is per job role. You don’t want to have a rate so low you are taken advantage of, nor too high that you struggle to get hired. There are a lot of factors to consider when deciding your rate of pay. It would be good to know how others negotiate their rate if you have the time leave a comment in the section below this post so that others can learn from your experience. How experienced you are, your job role and the films budget will all play a part in your daily rate. Here are some tips on how to calculate your daily rate as a filmmaker. Firstly find your countries guidelines for filmmakers daily rates. You will find these on film union websites. Often they do not include lower budgets, short films or corporate work but this will give you an idea on what people near you are charging. Be brave and ask other film crew you are working with for advice - alternatively find forums online such as local Facebook groups or on Reddit. Ideally these filmmakers will have the same job role as yourself and be at the same skill level. Start small and increase your income every year. This is a technique used by other freelancers (such as graphic designers), when you learn new skills, buy new equipment or get better at your job role increase your wage to match this. The budget will be a major factor when negotiating your rate. Your should be getting paid full union rates for features over $1 million or if working on broadcast TV commercials. If you are a Videographer you will have to discuss the usage of footage with your client. If the footage is being used for a range of media (Online, TV, Promo) you will have to alter your rate. If you are involved in producing, directing or screenwriting you may be offered to take a percent of the overall budget of the film. For an indie production you can discuss this with the producer, read union guidelines and consider getting an agent to help you negotiate your terms. Depending on your country you may have a filmmaker union. These unions recommend rates of pay. Unions are prominent in the US and used less so in other countries. In the UK we have the major union Bectu – however their rate recommendations only cover professional film and TV productions. You can find updated Bectu rate cards here. It is likely when you first start out in film you will be working on low budget films and not be getting paid Union rates. Even when you are part of a Union your rate will differ depending on the type of production you are working on. In short when it comes to film the budget is everything. Keep in mind that when it comes to film how much you are getting paid depends almost entirely on the production budget. For quick reference if the budget is under $1 million for a feature film it is regarded as low budget and you may take a cut in your wage because of this. Throughout your film career you will work on a number of low budget productions. At the start of your career this may be to gain experience and make contacts. Low budget films also give you the chance to practice a job role before stepping up. There are many reasons why you might work on low budgets throughout your career as such you must alter your wage based on the production budget. If you are within an entry level job in film you will likely not be getting paid more than your countries recommended minimum wage. This includes roles such as Runner, PA and Trainee’s. Your pay rate will increase depending on how skilled (or in demand) your job role is. It makes sense that Head of Department positions will get the highest wages in film and out of them all the above-the-line job roles (Producer, Director, Screenwriter, Cinematographer) will get paid the most. Another way of paying above-the-line crew is to allocate them a percent of the budget. Directors could get 2-5% of the films overall production budget, Screenwriters 2-3% and Producers often get the highest wage mainly because they work on a film for the longest time and may be taking a financial gamble. If you ever get to the point where you are taking a percent of a major budget film you should have agents and advisers to help you negotiate your rate.